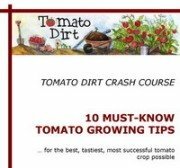 [Tomato Dirt] Beware of Tomato Blight: What Should You Look For? Beware of Tomato Blight: What Should You Look For? At least three common tomato problems are referred to under the broad umbrella of “tomato blight”: early blight, late blight, and Septoria leaf spot. They’re each caused by a different fungus. Tell them apart by what their symptoms look like on your plants, the parts of the tomato they affect, and when their symptoms appear. Garden sprayers are used to apply liquid treatments to tomato plants, such as fungicide to treat early blight, late blight, and Septoria leaf spot. They are essential for treating tomato diseases with organic or inorganic fungicides. A hose-end sprayer is a device attached to the end of a garden hose. A compression sprayer is the most commonly-used sprayer in the garden. It’s made up of three main parts: a tank which holds the product mix, a pump to provide pressure, and a nozzle/wand combination to apply the product to your tomato plants. 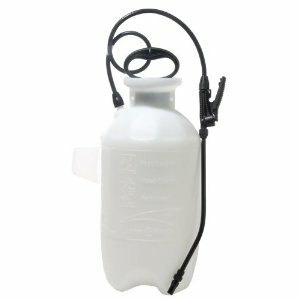 A trigger sprayer is made up of a simple plastic squeeze-pump handle mounted on a plastic bottle. Read more about different kinds of garden sprayers so you can figure out which kind is right for you.